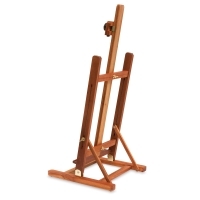 Set the Richeson Lyptus Wood Racine Tabletop Easel up on any flat surface and get to work. 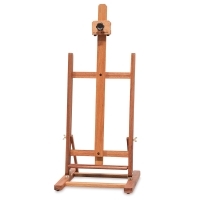 This portable, versatile easel holds canvas up to 24" high and weighs 5 lb. 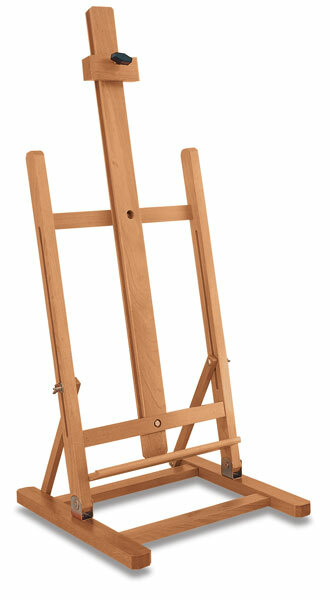 Carry the lightweight easel with you from class to class or for plein air painting. Made of eco-friendly Lyptus wood.